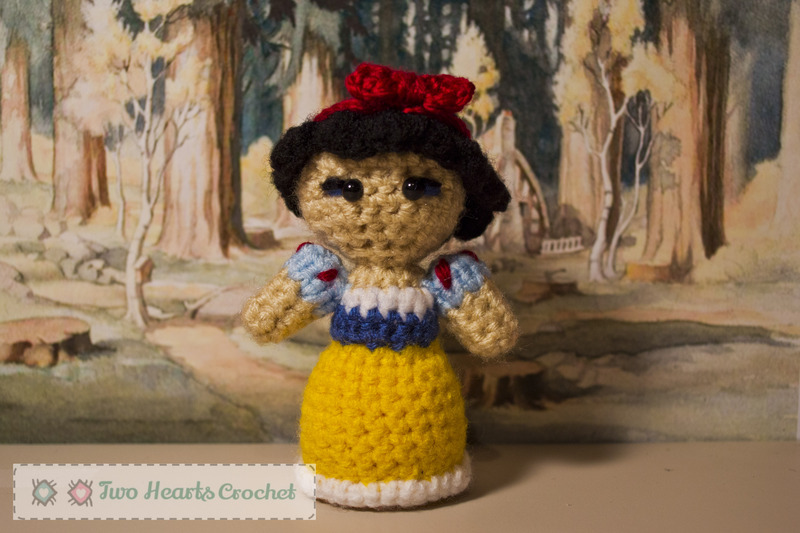 Throughout the next few months, I will be posting new princess patterns here on the blog, hopefully one princess per week! 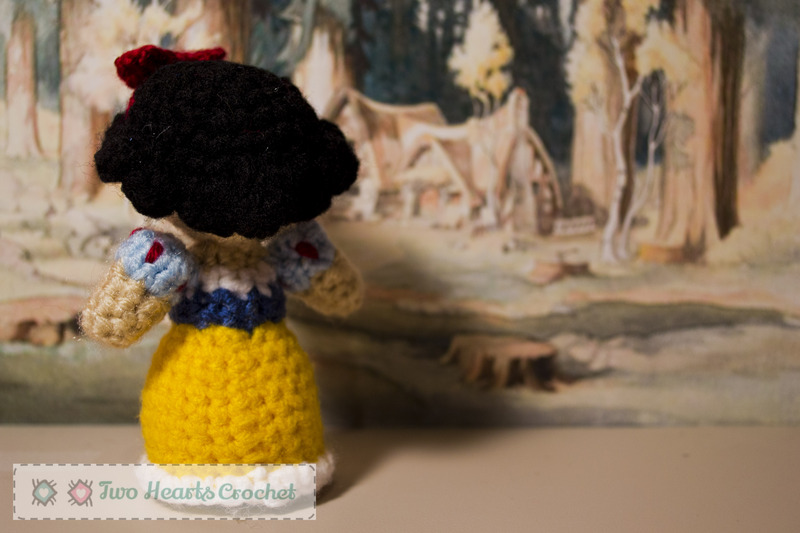 To honor the great Walt Disney and his creations that have brought so much joy and dream to children around the world, I thought I’d debut my princess patterns in the same order of their original release. 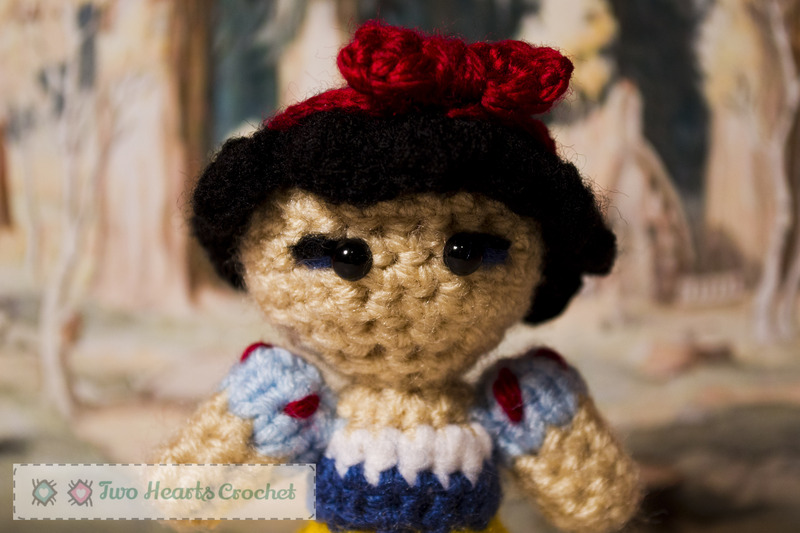 So, without any further ado *drumroll* – here is Snow White! 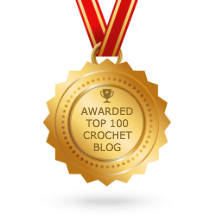 You can download a PDF version of this pattern now! Insert the safety eyes into round 7, placing them two full stitches apart. See photos for reference if necessary. Carefully stuff the head, but do not overstuff! 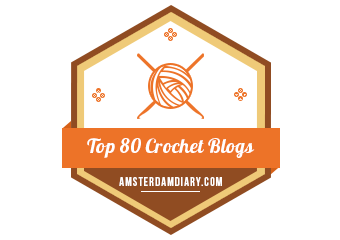 Using your crochet hook, pull up a tiny bit of the stuffing from the head into the neck (this is easier than trying to force stuffing into the neck). Carefully stuff the rest of the body, but do not overstuff! Use a yarn needle to sew closed the remaining gap in the circle and weave in ends. Rnd 6: *sc decrease* – repeat around. Join and fasten off. Use a yarn needle to sew closed the remaining hole at the top of the arm. Sew to body just below the white trim/neckline of the dress. See photos for placement. Weave in ends. Using a yarn needle and a strand of red yarn approximately 8” long, weave in the red decorative stitches for the sleeves. See photos for placement if needed. Sew the arms to the body just below the white trim/neckline of the dress. See photos for placement. Weave in ends. Rnd 7: *work 3 hdc in next st, then sl st in next st* – repeat 5 times. Ch 1. *work 4 dc in next st, then sl st in next st* – repeat 5 times. sl st in last st. Fasten off leaving a long tail. 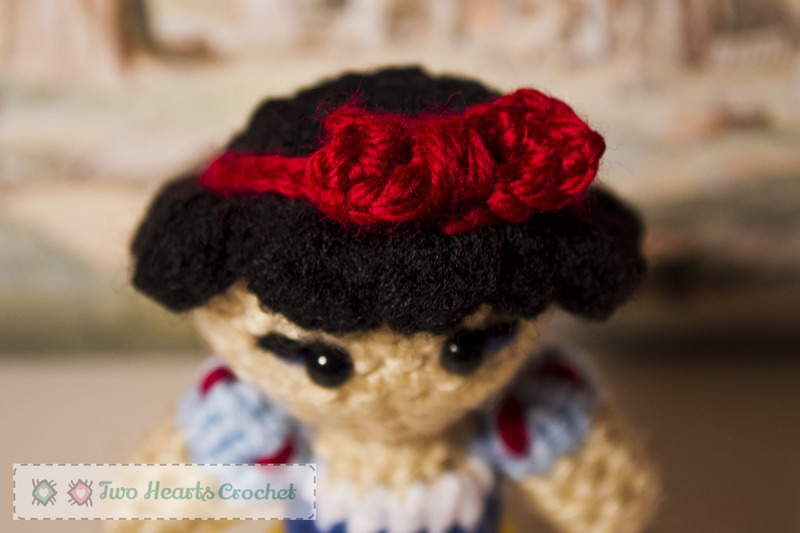 Use a tapestry needle to sew the hair piece to the doll’s head so that the smaller “bumps” along the edge are in the front like bangs and the larger “bumps” go around the rest of the back of the head. Weave in ends. 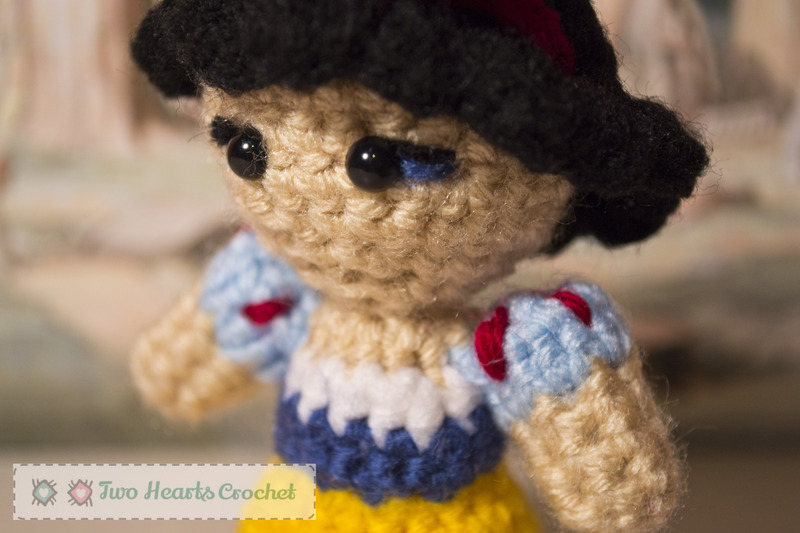 Use a tapestry needle to sew to head. See photos for placement. Rnd 2: sc across. Fasten off. Using a long strand of red yarn, wrap around the center of the bow to tighten and synch the center of the bow. Tie the yarn strand tight and sew to headband. Weave in ends. For the “eyelashes”, take a strand of 4-ply yarn in black and carefully split the yarn in half, making two 2-ply strands. Use a needle to carefully embroider the “eyelashes” on the outsides of both eyes. Repeat using a strand of blue yarn for the “eyeshadow”. Weave in all ends. 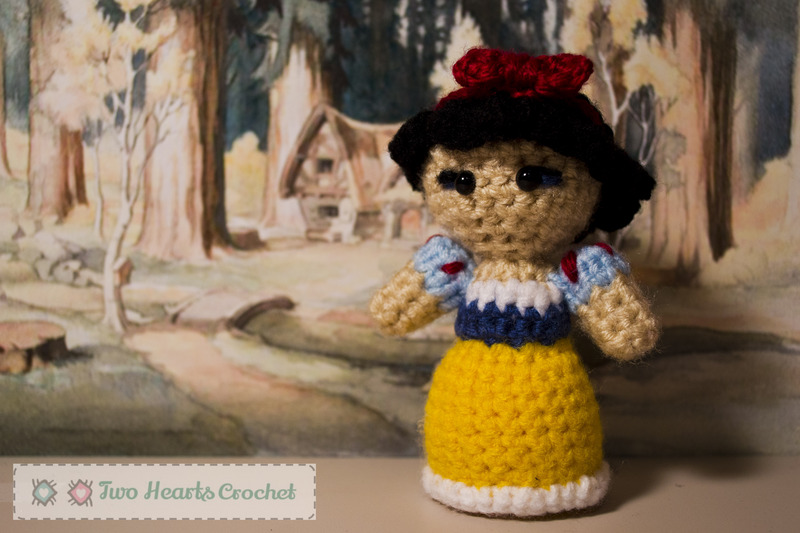 There you have it: one adorable Snow White. Maybe someday her prince will come! You can also like the blog on Facebook for up-to-date happenings. Happy crafting! How tall is this doll?